At CodeChef, we constantly stay in touch with CCDSAP holders to make the experience better for you and to fine-tune the certification. 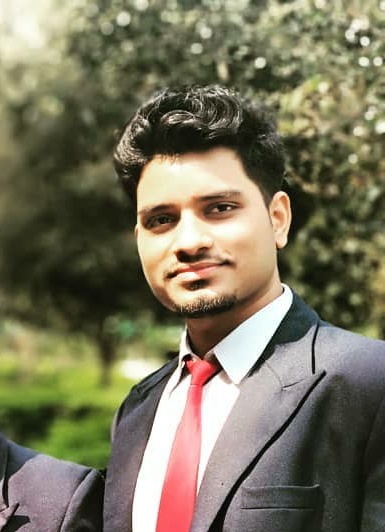 We spoke to Amit Upadhyay, a CCDSAP Foundation Level Certificate holder who is placed at Cleartax as a Software Engineer. We asked him about his CCDSAP experience and his tips for aspiring candidates. so read on! A little background on Amit and his introduction to coding. Amit completed his engineering from the Army Institute of Technology in Pune in 2018. Amit has always been involved with the world of code. He started coding on the CodeChef platform in his first year, and eventually moved on to making mobile apps in his second year. During this he found that he had a wealth of knowledge (and libraries!) to share with the world, so he began blogging as well. Amit credits the environment in his college for boosting his interest in coding competitively. In his first year, his seniors informed him about the CodeChef platform and he quite enjoyed the thrill of competitive programming. How did Amit hear about CCDSAP and why did he decide to appear for it? Amit heard about CCDSAP when Directi landed up in his campus for a recruitment drive. Clearing the CCDSAP also allows one to interview with Directi and Amit decided to make use of this opportunity. Even though his concepts were clear, Amit decided to consolidate his learning before appearing by taking the mock test on the CodeChef website. He recommends taking them to get an idea about the exam format and the correct pacing needed to finish the exam in time. How should one prepare for CCDSAP? Amit believes that a strong understanding of the fundamentals of DSA is what is tested at CCDSAP. So how does one get there? He recommends using a good book of DSA theory matched with an equal amount of solving DSA problems, like the ones available on the CodeChef website. He advises that candidates should study one data structure at a time and then solve 10-20 problems based on it before moving to the next. There are also many videos available online to help with the conceptual part. Finally, he recommends the prepare section on the CCDSAP site as an invaluable resource, complete with mock tests. So where does DSA help one in the industry? While most products depend on existing frameworks which can be understood by reading the manual, Amit emphasizes that DSA helps you learn how to think. It lets you understand the most optimal way of going about solving a problem, no matter what platform or framework is used. After all, problem-solving skills are universal and carry over to your next assignment as well. Amit also spoke about how college doesn’t quite prepare you for industry challenges, and a lot of the learning happens on the job. At CodeChef we agree that this is certainly an issue and efforts can be made to bridge the gap between recruiters and candidates. CCDSAP does address this in a small way, and eventually we can bring a systemic change together. The next CCDSAP exam takes place on the 7th of October. Check this link for details and get in touch if you have any questions for us!